In recent times, there have been accusations of Russian tampering in western politics. In the wheat game, the Russian crop is interfering with our grain pricing! In this week’s comment, we highlight the Black Sea, and its impact on global pricing. In figure 1, the spot futures are plotted. It’s not a pretty chart. The Chicago futures market has lost 142¢/bu or approximately A$66 since the peak of the season in July. This rally has provided many of our readers with good opportunities, for those who covered swaps or confidently contracted physical forwards. It is important that when we have such an oversupplied market that, when markets rally substantially, we begin to lock away price. We must make sure we don’t aim to hit the top of the market, as you will be perpetually disappointed. 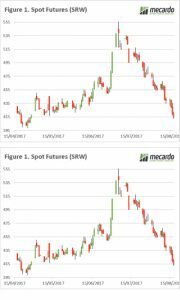 The recent fall in the market can partially be attributed to growing expectations of the Russian wheat crop. The recent WASDE report, alongside many private forecasters have tipped that the Russian crop will be the largest the country has produced at 77mt (figure 2), 7% above last year and well above (+40%) the ten-year average of 55mmt. Although, the Ukrainian crop has marginally dropped year on year, it also remains large at 22% above average. The expectations of an immense Russian crop, alongside a low rouble, has resulted in Russian wheat becoming extremely attractive with an A$/mt terms 12.5% protein wheat pricing at $233 fob. The Black Sea crop will continue to place pressure on prices, as their export program will be substantial this year, and will be competing into similar markets to Australia. This year seems to have parallels with the past two seasons, however last year the majority were gifted with strong production in Australia. The focus at a local level will firmly be on the crop, at the moment the rain is coming in leaps and bounds. How long will this continue, and how much surety in the crop do we have. 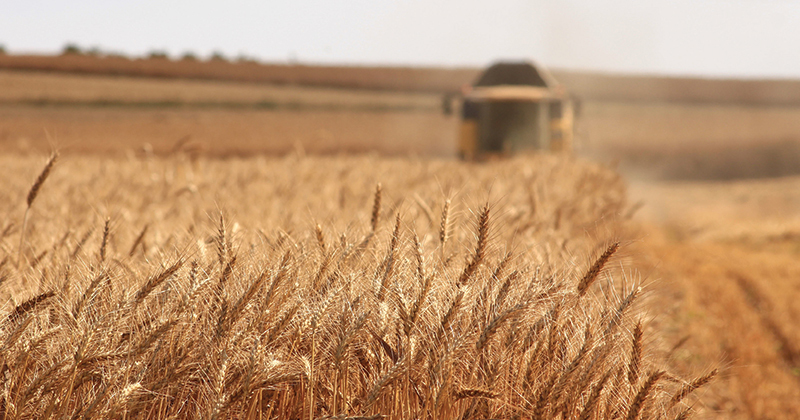 At present estimates of the overall crop have improved from the end of July, and it wouldn’t be unexpected to reach the upper end of the 17-22mt range.